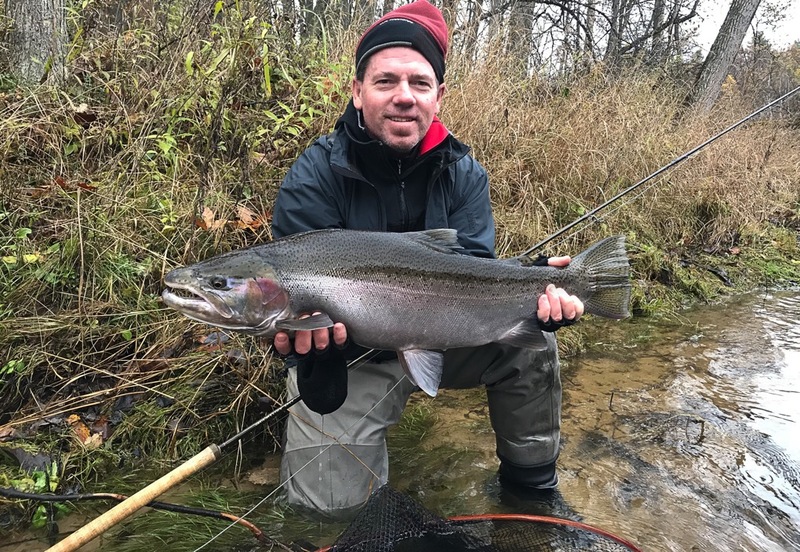 It was a raw November day on the Muskegon today swinging for fall steelhead. Like yesterday the fishing pressure remained high. By afternoon many folks felt the call of warm dry cabins leaving things much more manageable. Pictured is Sock with a fantastic buck steelhead on his two-hander.